Instantly download the WooCommerce bbPress and BuddyPress Product Support plugin at a large discount, with 1 year of updates. No coupon code required, just “Add to cart”! WooCommerce Product Support can improve your current product support workflow and easily provide support for users who buy your products. 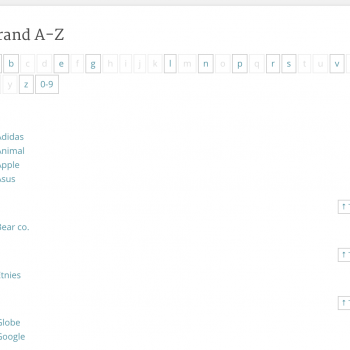 Plugin settings also give you the option to write some stock forum instructions that can be published, locked and stuck to the top of a forum when a new forum is created. 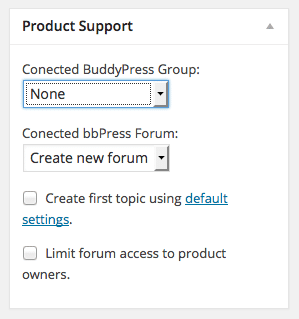 If you’re not using anything for product support right now, we highly recommend that you install BuddyPress (a free plugin) and enable User Groups and Discussion Forums. This gives you the best control over who has access to what, and with WooCommerce Product Support you can completely automate group creation and user addition! 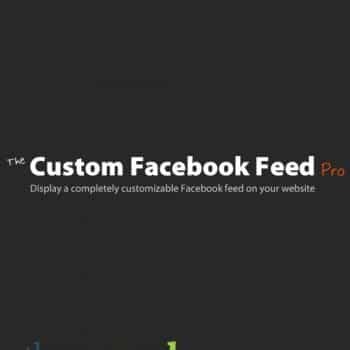 Note: this extension requires either bbPress or BuddyPress (both free plugins) to function properly. 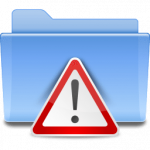 If using a WooTheme, you will also need to integrate either plugin into the theme, as our themes don’t support either plugin out of the box. 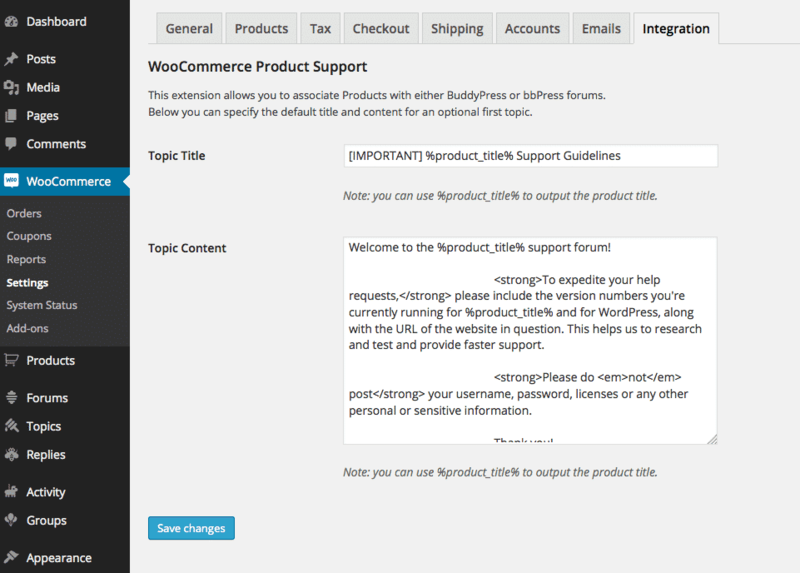 Be the first to review “WooCommerce bbPress and BuddyPress Product Support” Click here to cancel reply.